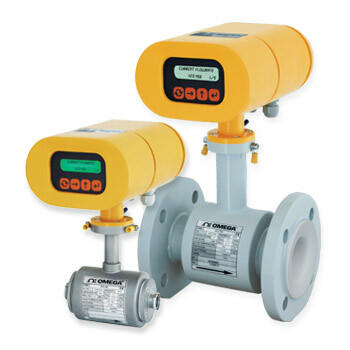 Measure conductive liquids with the FMG600 Series electromagnetic flow meters. Featuring no moving parts and a PTFE lining, these magmeters can handle applications involving wastewater, pulp, food, and slurries. Standard outputs include analog, frequency, and RS485 communications.